Both of our carefully designed and decorated rooms feature a queen size bed, quiet seating area and colour television. Each room also comes complete with its own luxuriously appointed 4-piece bathroom. 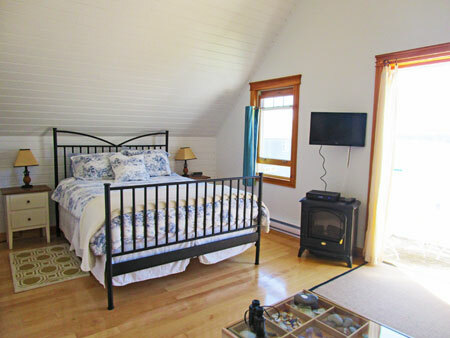 Our rooms are cleaned with organic cleaners and essential oils. Duvet covers are changed with each new guest and sheets are line dried in the salt air. 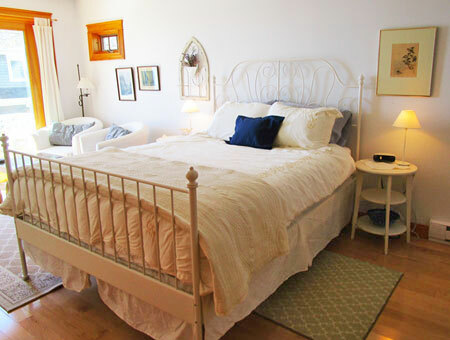 When staying at Seahaven, you are always walking into "your very own room". Choose from the luxurious "Bayview" or "St. Märgen." At Seahaven we pride ourselves on our delicious, wholesome and nutritious breakfast. In keeping with our desire to maintain a natural environment we want to entice your palate with fresh all-organic foods. We endeavour to accomodate where possible, any special dietary needs. This includes, but is not limited to, those who are wheat or lactose intolerant. Breakfast is served between 8:00am and 9:30am. Rates are for two people, per night, including a full, organic breakfast. Arrival and departure times are flexible but are generally 2:00 pm for check in and 11:00 am for check out. Copyright © 2016-2018; All rights reserved.